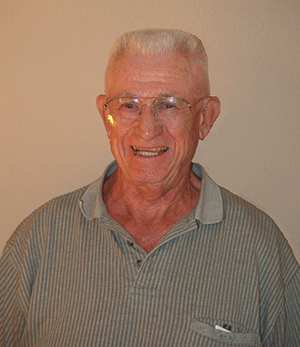 Jack Thompson began his long and varied career in 1956 as an independent contractor doing claims adjusting and repair work for van lines and moving companies. He also trained workers in in-home furniture restoration techniques. In 1961, he became Japan manager for the Columbia Export Packers, an international freight forwarder of household goods. There, he trained packers and loaders in Door-to-Door mode, which was then replacing the Motor Van/Sea Van mode. In the mid-1960s, as Far East manager for Imperial Household Shipping and director of Thru Container Service in Yokohama, Japan, Thompson worked with agents in the region to promote business and quality control techniques. During that period, he handled the first land-air-land baggage shipments at a Japanese navy base, and set up baggage agents throughout Japan to handle the new Less Than Thru Bill mode of baggage shipping. Over the next few years, Jack Thompson worked for Imperial in Vietnam and then Germany. In 1967, as vice president and general manager at Jet Forwarding Europe, Thompson designed and launched the first containerized Code 7 baggage program with Columbia Export Packers. A year later, he became vice president of Global Van Lines, where he was responsible for the company’s military business worldwide and set up its first commercial offices in five European cities. In the late 1960s, Thompson owned and operated a furniture repair and claims business in California, but soon returned to military relocations in Germany in 1970, as vice president for Vanpac Carriers, Inc. Thompson filled various roles at Vanpac until 1977, when he moved to Alaska as vice president and general manager of Air Van Lines. A decade later, he returned to American Vanpac Carriers. Then, in 1990, he began Covan International, Inc., a division of the Coleman American Companies. Jack Thompson was HHGFAA’s first Far East Representative and a three-term member of the HHGFAA Executive Committee. Currently, he is an industry consultant, operating an independent claims adjusting firm.